Tailored solutions for oversized, heavy lifts and large-scale and complex industrial projects. Kerry Project Logistics is a specialized entity of Kerry Logistics, launched to meet the growing demand for integrated project logistics services. Our inter-connected and dedicated teams operate across the globe managing complex projects from start to finish. 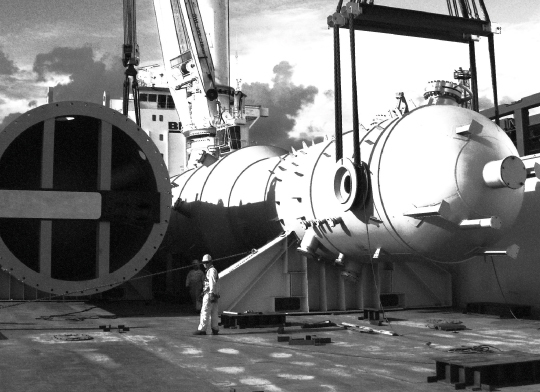 Kerry Project Logistics’s core business is the logistic management of projects in the Oil & Gas, Petrochemical, Industrial Projects, Construction & Infrastructure and Renewables Industries. We offer a wide range of value-added services which provides a one-stop shop to our clients project teams. These services include also expediting, pre-shipment inspections, material management, packing, on-site surveys, feasibility studies and much more. Our philosophy is to build a structure close to the project, in line with local content policies’ increasingly widespread demands. Our HR policies enhance and develop our employee’s capabilities and skills, enabling them to express their full potential and help achieve the Group’s targets. We often work in developing countries where the issue of local content has become a strategic topic for many of the industries we serve – especially in the Oil & Gas sector.